In each case where conditions approached the Murray's law assumptions, the xylem conduit network was at or near the Murray law optimum. Even the tracheid-based conducting system of Ps. nudum conformed, suggesting the trait may be pervasive in the seedless vascular plants. 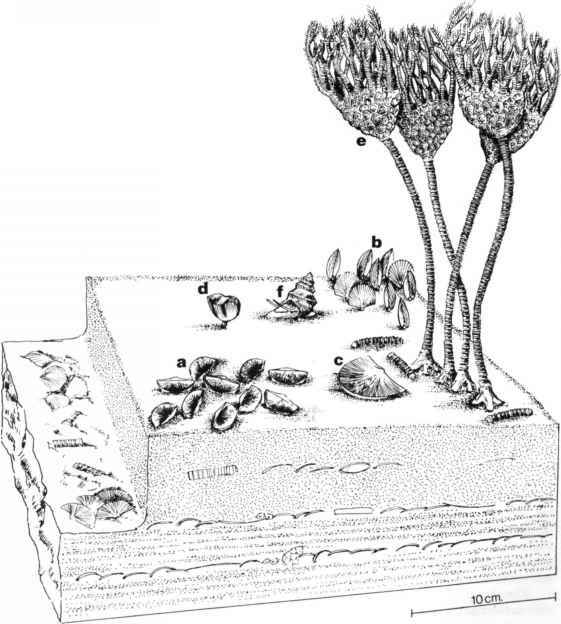 Although Psilotum is allied to the ferns, its reduced morphology and central strand of primary tracheids strongly resembles fossils of the earliest of vascular plants . If these ancestral vascular plants also obeyed Murray's law, the selective advantage of the trait must have been quite strong. An early origin of Murray architecture is consistent with the observation that ancestral vascular systems did not function significantly in mechanical support of the plant . A major mechanical role of xylem probably evolved with the kind of secondary growth seen in extant conifers and angiosperms. Murray's law does not predict the optimal conduit structure in the wood of these self-supporting trees because it does not consider the mechanical role of the conduit network. Nor did the conifer and angiosperm woods measured match the Murray's law optimum. As predicted, however, the less the conduits contributed to wood volume and mechanical support (as in the ring-porous angiosperm wood), the less was the deviation from Murray's law. Although this means that the conduit portion of the wood can be inherently more efficient in angiosperms vs. conifers, the advantage is less evident when the entire wood volume required for both hydraulic and mechanical functions is considered (Figure 4.2B, gray vs. closed symbols). To better assess the trade-off between hydraulic vs. mechanical demands on wood structure, an analysis that moves beyond Murray's law is necessary.